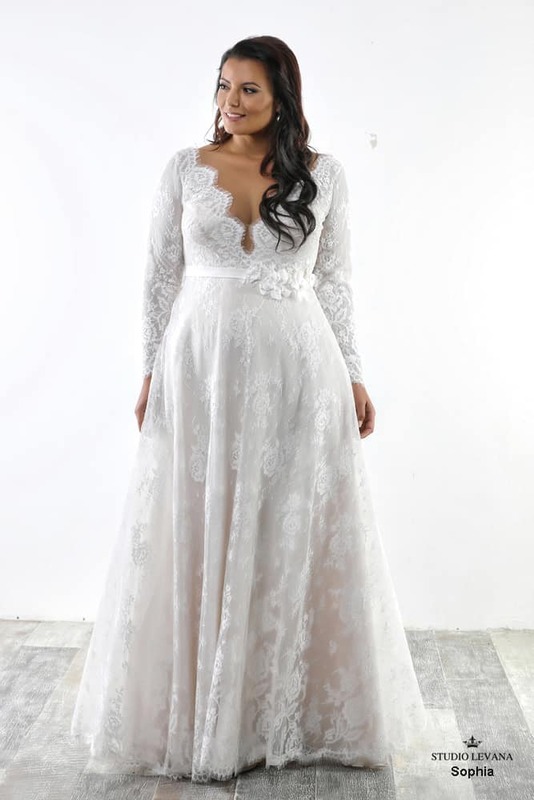 The Something Curvy Collection at Something Bleu is the best plus-size wedding dress collection in the North East. Featuring curve-forward fashion by designers like Studio Levana, Watters, and House of Wu, the Something Curvy Collection starts at size 16 and goes up to sizes 32+! We have chosen this collection – and our designers – with your curves in mind. 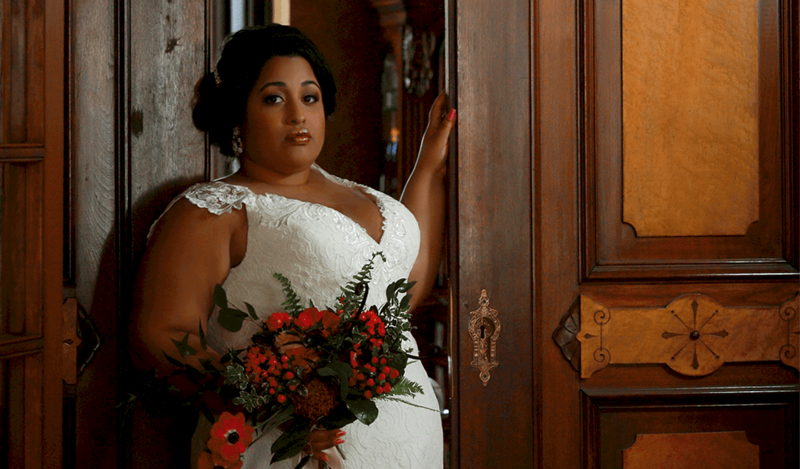 This attitude is embodied by our showcase curvy designer: Studio Levana. 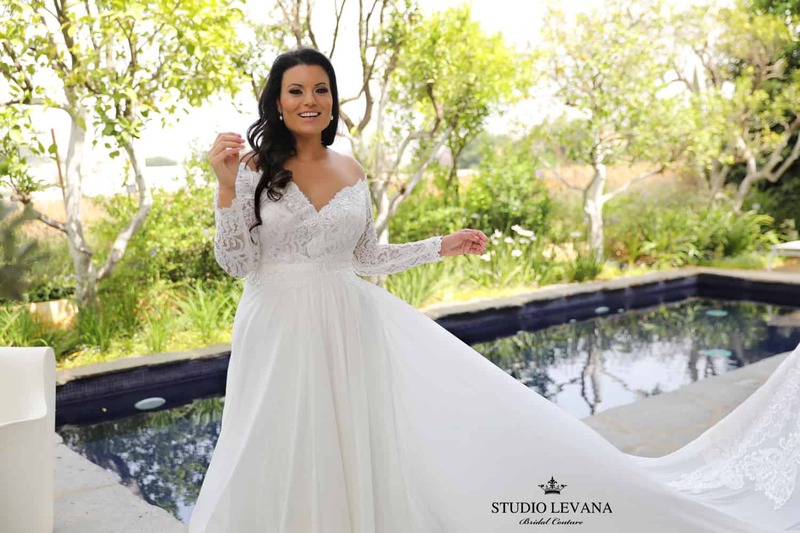 Making dresses specifically for curvy brides, Studio Levana’s curvy wedding dresses start at a size 14 – so you know they’re serious about making designs that flatter your curves (and help support them where they need it most). Something Bleu does not pass-on manufacturing charges for curvy sizes. Say what? That’s a thing?! 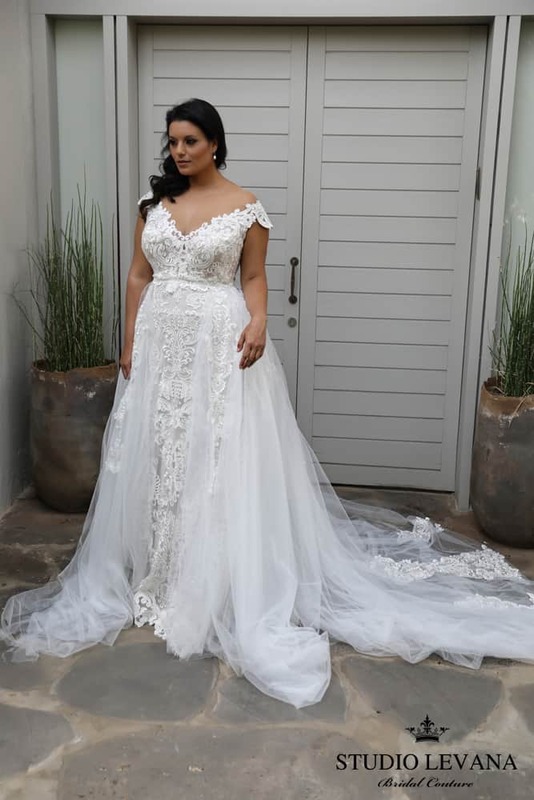 Yes, charging anywhere from a set fee to up to 15% more for dresses over a size 16 is a thing, and we promise that our brides are done with it. Some of our designers (like Studio Levana) are already not charging different prices based on size charts. Other designers are. 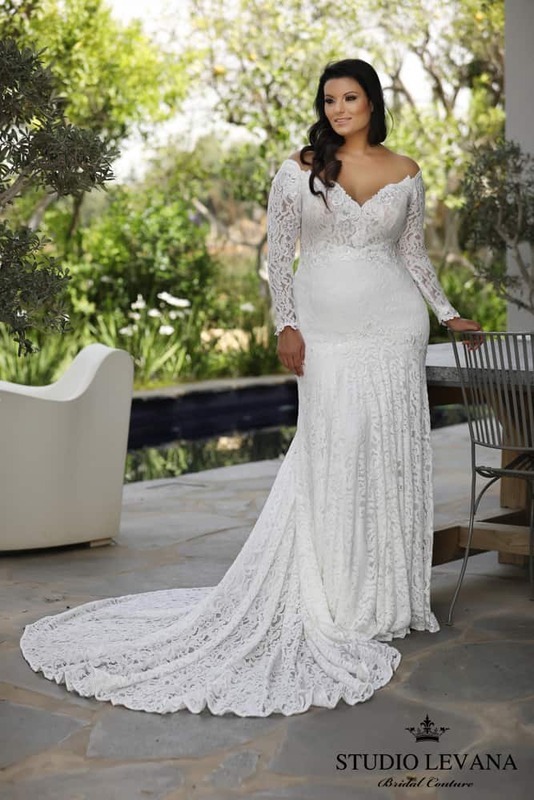 Our pledge to you is that our dresses are priced from the 0-14 size chart, and you won’t see a price difference in your dress from Something Bleu, whether you order a size 2 or a size 20. But enough serious talk. Scroll down to explore some of the dresses in the Something Curvy collection, and start pinning! Give us a call or fill out our online form to book your appointment and try on the Something Curvy Collection today!